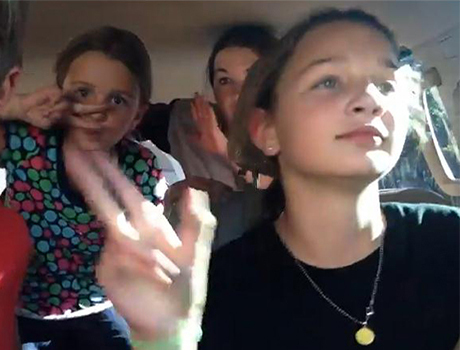 Anastasiia and her delightfully offbeat siblings rock out in the car. You’ll never be bored in this house full of nicely crazy children, who are my host siblings. We enjoy doing after school activities and even doing homework together! Since one month, we traveled to Utah, visited a national park, and had a great time at both Zozobra Festival and Balloon Fiesta. I’m really happy to be part of their family—the fifth kid! Every day is full of new things for me, and I’m sure for my host family as well.